The only good thing about this is his wings...One of these days i'll do some better ones. I like this character. It is unique and has potential. Keep up with the good work. Keep trying and you could become an even greater artist. Study the human features of a man's body, and a dogs/wolf's head features, and an angel's/bird's wings. 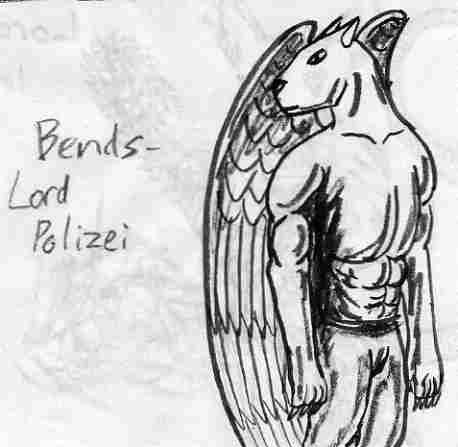 If you study those elements you can create an even better drawing of "Lord Polizei."